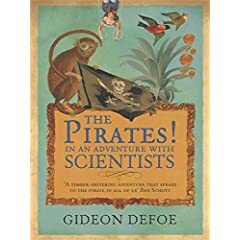 Happy International Talk Like a Pirate Day, Ye Scientists, Naugty Wenches, Sea Dogs, Cheese-eating Surrender-pirates, Gothpirates, Scurvy Lubbers and Assorted Bilgerats! P.S. Would a real pirate drive a Honda? 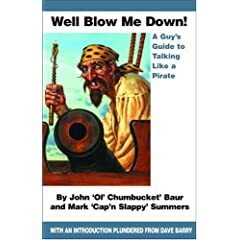 The first book is from the founders of Talk Like a Pirate Day. A good read. Why TLAPD is not a national holiday is beyond me. From the book cover: “Gideon Defoe, who lives in London, is twenty-eight. He wrote The Pirates! to convince a woman to leave her boyfriend for him. She didn’t.” Gideon Defoe is also rumored to be a relative of _that_ Defoe. In any case, I really don’t see why that woman did not leave her boyfriend, as Mr. Defoe is a genius.